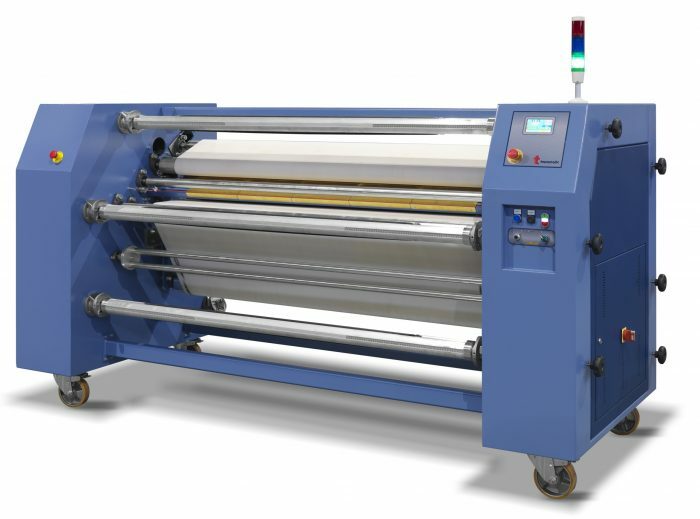 Oil calendar specially designed to meet the increasing demand for ink Jet Dye – sublimation transfer technology from paper to knitted, synthetic fabrics and non-cloth fabric such as polyester, nylon and acrylic. A proportional working thermostat regulates the temperature with a remarkable energy saving. Net weight 1200 kg/2469 lb. 1276 kg/2813 lb.